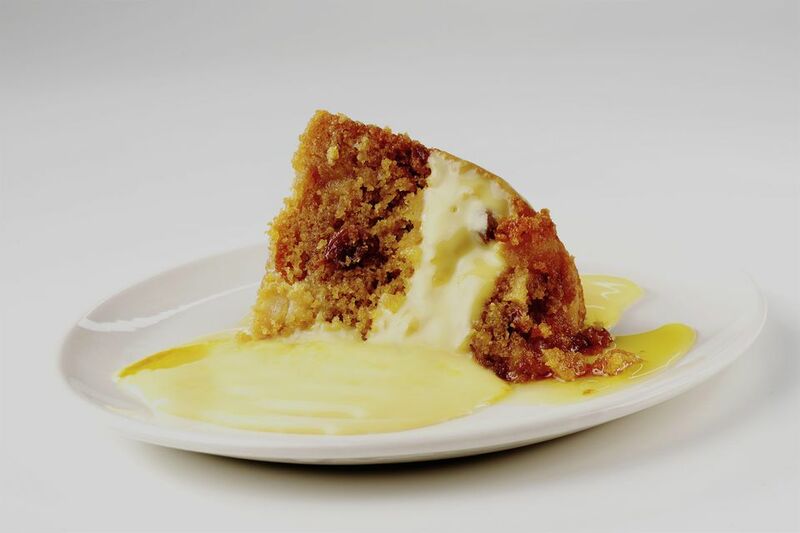 Date and walnut pudding is a classic British pudding. The steamed sponge pudding technique is the same for all flavors, so let your imagination loose with flavors. The classic steamed sponge puddings include ginger, treacle, lemon or golden syrup, raspberry jam and many more. The recipe here classically combines dates with walnuts plus a little lemon. These ingredients create a delicious and moreish pudding perfect, not just for a winters day, but any time you want a hearty, classic British pudding. Grease a 1 ½ pint / 750 mL. pudding basin with soft unsalted butter. Mix the flour, salt, suet, dates, walnut, lemon rind and sugar together. Make a well in the center and add enough milk to create a dropping consistency. Stir the pudding gently but with enough vigor to make sure it is all mixed in. Place the batter in the pudding basin and smooth the surface gently with a spoon. Cover the basin with two circles of greaseproof paper secured with kitchen string. Steam the pudding over rapidly boiling water for 1 ½ to 2 hours. Check frequently to make sure water has not boiled dry - top up with boiling water as needed. Carefully remove the lid or foil from the steamer. Lift the pudding from the steamer and remove the greaseproof paper and allow the pudding to stand for 10 minutes then serve preferably with lashings of hot custard. Steamed sponge puddings take several hours of steaming so make sure you allow plenty of time for cooking before you wish to serve the pudding. Steamed sponges can be made in advance and then simply reheated over boiling water or in a microwave before serving. With the long cooking time, make your puddings with strong, distinct flavors for better results. Date and walnut is a good example, or try treacle, lemon, even marmalade, for good strong flavors.